The Olympics are officially underway. This afternoon the women’s football (soccer) tournament began all across Great Britain, with most of my attention focused on an early game from Glasgow, Scotland involving the United States and France. Since the US men’s team did not qualify for the Olympics, this women’s national team is the only hope for a medal in soccer, and to be honest with you from a team sports perspective I’m looking forward to watching them compete almost as much as both the men’s and women’s USA Basketball squads. This afternoon’s game did not disappoint. This was the second match of the Olympics as the Great Britain vs. New Zealand match got underway about a half hour before the US women took the field, but this game certainly lived up to any hype that it received. Now, the US women are expected to compete for a medal and anything less than a gold medal would be disappointing to them, so this afternoon’s match was one that they needed to play well in to show the world that we aren’t playing and that we’re in London for business. At first it didn’t look that way, but there’s a reason a soccer match is 90 minutes. One thing that’s worth noting here is that the women’s Olympic soccer tournament is a bit different than the men’s. Yes, they are both being played at the same time (the men’s tournament starts tomorrow) but the women’s tournament does not have the Under-23 age restriction and the qualifying is based upon the previous year’s World Cup and not qualifying rounds as is the standard for the men’s tournament. As soon as the 2011 World Cup was over and the US Women lost to Japan 3-1 on penalty kicks, the team had only one thing on their mind….winning this tournament. See, the women’s Olympic tournament and the women’s World Cup field have basically the same teams involved, so there is a sort of redemption that the US women can get by dominating London 2012. The USA started slow. I wish I knew the reason for that but the team just came out flat. Maybe it was nerves, maybe they were too cocky, and maybe their heads just weren’t in the match at the start. Whatever the reason is, it’s irrelevant now. But for the first 17 minutes of the match both the pace of play and the scoreboard had fans of the United States just a tad concerned about their women’s team who finished the 2011 World Cup as runners-up. It only took 12 minutes for France to fire the first bullet this afternoon. France, who was dominating possession early, got a brilliant strike from about 25 yards out from the beautiful Gaetane Thiney, a 25 year old French midfielder, and her shot grazed the fingertips of US goalkeeper Hope Solo before finding the back of the net. At the time, France was a (wo)man up as Alex Morgan was off the pitch getting medical treatment and waiting for the referee’s approval to come back on the pitch. As it turns out, Alex Morgan was fine, but the US went down 1-0 and things would get worse before they got better. About 90 seconds after Thiney scored, France made the score 2-0. After an ugly possession where the United States could not clear the ball from near their 18 yard box, the 24 year old Marie-Laure Delie capitalized on the ugly start from the Americans and made the score 2-0 with a goal from just off the 12-yard penalty kick spot. There was one more ugly play for the USA before things finally started getting better. In the 17th minute, again about 90 seconds after the second goal, midfielder Shannon Boxx went down with a lower body injury. Boxx, a 35 year old midfielder who has been a key member as a defensive mid for the USA squad since 2003, had to leave the game and was replaced by Carli Lloyd. Lloyd is more of an attacking central midfielder than Boxx, and today it paid off. In the 18th minute of today’s match the USA finally broke through. It was about time, as this match had been exciting throughout but with the US not able to capitalize on chances and France scoring on what really weren’t even the best chances. The game changed on a corner from Megan Rapinoe, as her cross came across the 6 yard box and found the great American goal scorer Abby Wambach on the back post. Wambach’s header came across the goal mouth and ended up in the opposite side netting, a sick header from the usual #20 who happens to be wearing #14 this tournament. Wambach, who has said that she will leave every bit of her being human-ness to help this team win the gold medal definitely answered that bell today. About a quarter of an hour before half-time Alex Morgan leveled the match up at two goals. Her first goal of the match was a crazy one, as goalkeeper Hope Solo had the assist for it. Solo blasted a goal kick into the opposing 18 yard box on one hop, and the French goalkeeper and the Francais defenders all misplayed it and gave America’s best looking player her first goal of the match. The match went into the second half tied at the 2-2 score, but it didn’t take long for the US to put this game away. In the 56th minute, Carli Lloyd, a substitute for midfielder Shannon Boxx, scored her 9th goal of 2012 with a confident right foot from about 20 yards. The midfielder from New Jersey had a fantastic game and she is vying for a starting spot (and is reportedly unhappy about being on the bench, but not enough to make it a major story). Later in the match, about 10 minutes after Lloyd’s goal, Alex Morgan finished her second goal of the afternoon. It was probably her easiest goal of her career, as Megan Rapinoe put the best through the ball of her life to Tobin Heath who then got the ball to Morgan for the equivalent of a “gimme” putt in golf. The simple cross from Heath got through Abby Wambach and was an easy put in for Alex Morgan’s second goal of the night and her 19th goal in 16 games for the USA in 2012. If you can’t score from 2 feet in front of the net your name is ***wait I won’t call out a couple players from my high school team here***. I think I see Jean van de Velde coaching the French team. The USA went on to win this opening match 4-2. The player of the match was Megan Rapinoe, who set up 3 of the 4 goals and dominated play in the midfield for the United States. Rapinoe is known for her crafty style of play, but there is no doubt in the world that the USA would have lost this game if we didn’t have her 3 much needed points to start this tournament. Unfortunately the final 20 or so minutes weren’t too memorable when it comes to USA soccer. The team did not play too well with the lead and was still a bit too attacking tactically, and they also still have a thing or two to learn when it comes to tactics at the end of the match. It’s hard to be mad at a 4-2 Olympic win, so these potential issues seem rather minuscule, but if they add up over the next couple weeks than it absolutely is an issue to worry about. Today the USA won 4-2. We are atop our group and should still be in a good position to qualify for the next round. The next match comes against Colombia at noon on Saturday, before the team goes to Manchester United’s home ground Old Trafford for a match on July 31 against Korea DPR (North Korea). This USA women’s team is ready to win this tournament, no matter what, and I hope that US sports fan (and sport fans across the world) are ready to see that happen. 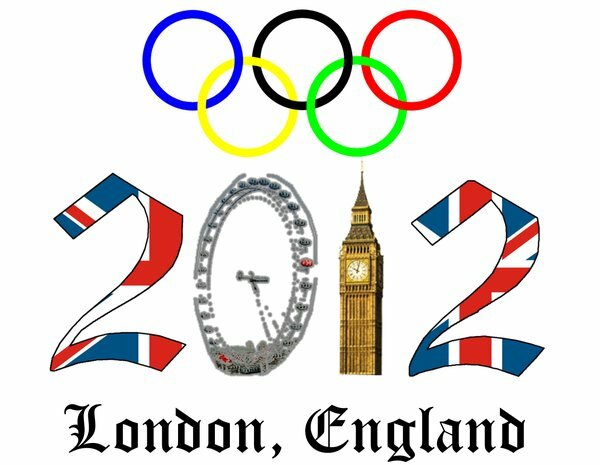 This entry was posted in General, London 2012, Soccer and tagged Football, London 2012, Olympics, Soccer, Sports, USA, USA Women. Bookmark the permalink.